This darling pattern has a punchneedle center with embroidery and/or applique around the house. The quilt piecing is very simple. Making a punchneedle project into a quilt is a unique way to use your projects! Pattern includes golden colored weaver's cloth and pattern to trace. 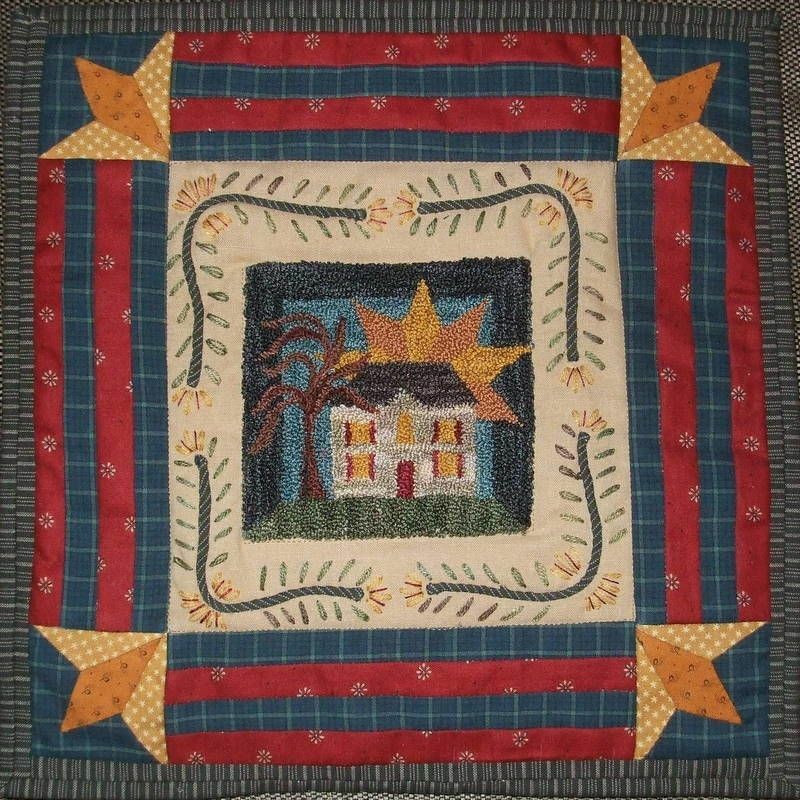 The punchneedle center measures about 4" and the finished little quilt measures 12".